Gazi Yar Mohammed, Head of Digital and Inclusive Financial Services of ONE Bank Limited and Shaheen Khan, CEO of Meena Bazar (a concern of Gemcon Group), exchanging an agreement signing document at Gemcon Group's head office in the city recently. Under the deal, OK Wallet customers will be able to purchase at any outlet of Meena Bazar and Gourmet Bazar across the country and will enjoy 30 percent cash back and attractive prizes. High officials from both the organizations were also present. Manjur Ahmed, Managing Director of BDBL and Chairman, Board of Directors of BDBL Investment Services Limited, presiding over its 4th AGM at its head office in the city on Thursday. Md. Abdul Matin, Md. Hamid Ullah Bhuiyan, Muhammad Aminul Hoque, Md. Abdur Rouf, Md. 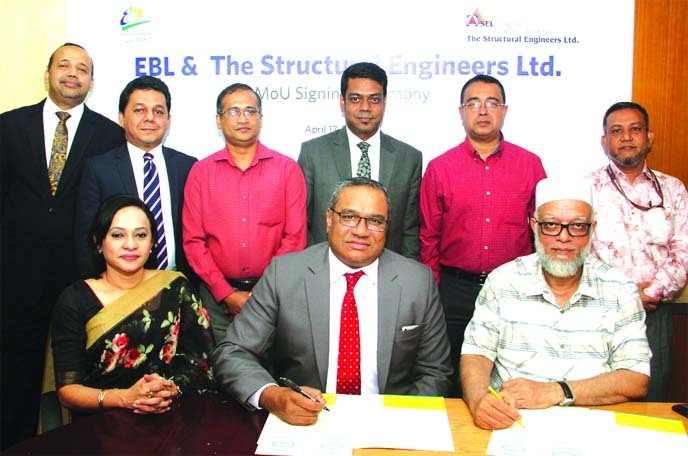 Mohin Uddin, Directors and Md. Masum Syeed, CEO of the company were also present. M Khorshed Anowar, Head of Retail and SME Banking of Eastern Bank Limited (EBL) and Engr. Md. Abdul Awal, Managing Director of Structural Engineers Limited (SEL) signing a MoU to enhance the quality of Home Loan service through sharing best value offerings for the customers at the Bank's head office in the city recently. Top officials from bothsides were also present. Robert Chatterton Dickson, British High Commissioner to Bangladesh along with Judy Hsu, Regional CEO (ASEAN & South Asia) of Standard Chartered Bank, inaugurating its new branch at city's Gulshan- 2 area recently. Senior officials from Standard Chartered Bangladesh, including Eva Ang, Regional Head, Corporate Affairs and Brand & Marketing, ASEAN & South Asia, Sabbir Ahmed, Head of Retail Banking, Enamul Huque, Head of Global Banking and Bitopi Das Chowdhury, Head of Corporate Affairs, Brand & Marketing of the Bank were also present. Sayeed H Chowdhury, Chairman of ONE Bank Limited, attended its Regional Branches Conference-2019 at a hotel in Chattogram on Saturday. 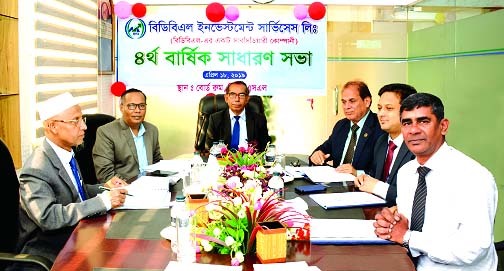 Zahur Ullah, EC Chairman, Kazi Rukunuddin Ahmed, Syed Nurul Amin, Directors, M Fakhrul Alam, Managing Director, Chattogram, Noakhali, Sylhet and Cumilla area branch managers' and other high officials of the Bank were also present.